The modules I tutored at The University of Auckland (2011-2016): FTVMS101 Film Studies for four semesters (every 2nd semester, 2011-2014), FTVMS 215/G215 Reading Contemporary Films (1st semester in 2013), FTVMS202/307 Hollywood and Its Others (2nd semester in 2016). The courses I taught at Fudan J-School (Feb 2006-2012): Audiovisual Language, Short Film Scriptwriting, Digital Production Workshop, TV Studio Production, World Film History, Media Convergence; English courses for post-graduate level: Chinese Indie Cinema, Chinese Indie Documentary and Social Transformation, for exchange postgraduate students from University of Vienna and University of Salzburg, Austria, and Double-Master Degree students from LSE, UK. The Case Study of Tudou.com: Examining Its Formulation of an Online Business Model for Video-file Sharing Industries, written by Catherine Perreira, completed in 2010. Making Sense of Video Art in China: Deconstructing Cynicism and Displeasure, written by Rosemary Reyes, completed in 2011. Urban Post-1979 Chinese Youth as a Lens: Defining a 6th Generation Cinema at Hands with a Coming-of-Age China, written by Raphaël Lemée, completed in 2013. Associate Producer and Editor for China Crosstalk (30min x 100 episodes, live & pre-taped, 2001- 2004), a live talk show produced by KTSF-CH26 (Lincoln Broadcasting Inc.) and Weston Media, aired nightly through KTSF-CH26 in the Bay Area, USA, and through the International Channel all over the North America. Programming Assistant (2001-2003) in KTSF-CH26, Lincoln Broadcasting Inc. Responsible for maintaining all the footage in the station library, editing digital news and other satellite TV footage ready for Master Control Room to air, keeping contact with clients to secure incoming programmes on time and checking quality and contents of the programmes to comply with broadcasting standard, etc. Director/Editor, Film/Television Department and Overseas Department in Beijing Television Station (BTV), July 1992–June 1999. I made hundreds of hours TV programmes, including documentaries, docudramas, TV magazines, TV galas, MVs, dance shows, and English-language instruction programmes. 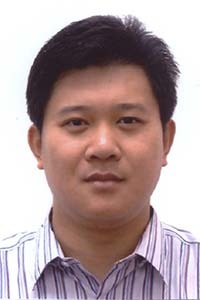 Coordinator of the Webcast Project for 2007 Shanghai Special Olympics World Summer Games – comprehensive online news coverage of all the games for the global audience conducted by over 200 students from China and America. I was responsible for coordinating student crews from four Chinese universities in Shanghai e.g. Fudan University, Tongji University, East China Normal University and students from the University of North Carolina – Chapel Hill, USA. Serving one of the jury members for student competition in the categories of Entertainment TV Shows and Short Narrative Works in Shanghai International Student Screen Festival – a sub-programme of the worldwide A-class 13th Shanghai International Film Festival (2010). Liu, Y. (2018). 3D Cinematic Aesthetics and Storytelling. Palgrave Macmillan (UK). (Publisher's Link). Chin, W. L., & Liu, Y. (2018). The film-induced tourism development in Brunei: Perspectives and potentiality. Borneo Research Journal, 12, 36–56. (Publisher’s Link (PDF)). Simmons, L., & Liu, Y. (2018). 劳伦斯·西蒙斯1，刘咏2译. 《千里走单骑》中的景观表现传统。上海大学学报(社会科学版) [Landscape and topography in riding alone for thousands of miles]. Journal of Shanghai University (Social Science Edition), 35(3), 10–20. (Publisher’s Link). (PDF Version). Liu, Y. (2011). Hypothesis of cinematic interfaces metaphor in the transforming digitization era – An introduction, delimitation and overview of cinematic interfaces. International Journal of Humanities and Social Science, 2(1), 214–220. (PDF Version Here). Liu, Y. (2009). Management strategy from breakthrough integration to intensive producing scale – Exclusive interview with Vice-President of Shanghai film studio, Xu Pengle. Journalism Quarterly, 100(2), 91–95. (In Chinese). Liu, Y. (2010). An Industry vs. Independents. In J. Scotton & W. Hachten (Eds. ), New Media for a New China (pp. 165–183). Malden, MA: Wiley-Blackwell. (PDF Version Here). Liu, Y. (2009). The Passion of the Director and the Temptation of the Market – a Comparison between Scorsese and Gibson’s Christ Movies. In C. Song & K. Zhao (Eds. ), Paper Collections for 80th Anniversary of School of Journalism at Fudan University (pp. 562–275). Shanghai: Fudan University Press. Liu, Y. (2013). The Oval Sphere vs. the Flat Canvas. Paper presented in the 5th International 3D Summit for Science, Technology, Art and Business (IC3D Conference) organized by 3D Stereo Media in Liège, Belgium, 3–6 December 2013. Published by IEEE Xplore Digital Library (here). DOI: 10.1109/IC3D.2013.6732074. (PDF Version Here). 'The Possibility, Reachability and Sustainability of Brunei's Film Tourism Development'. Paper presented in 2018 Australia and New Zealand Communication Association (ANZCA) conference, with the theme of 'Multiple Realities: Fluidity, Hybridity, and Stability in Global Communication', organised by the University of Auckland, Auckland, New Zealand, 4-6 July 2018. 'From “Dimensional Effects” to Stereoscopic Hyperrealism: The Transformation of Digital 3D Cinematic Aesthetics'. Paper presented in the panel of Technology and Cinema’s Past/Future at ‘Sea Change: Transforming Industries, Screens, Texts’ Conference of the Screen Studies Association of Australia and Aotearoa New Zealand (SSAAANZ) organised by Victoria University of Wellington, 23-25 November 2016. (PDF Version Here). ‘Between Depth and Flatness: Shaping Stereoscopic Ontology and Narrative Qualities’. Paper presented in the 26th International Screen Studies Conference at the University of Glasgow, UK, 24-26 June 2016. ‘3D in the Southern Hemisphere – focus on Peter Jackson’s HFR experiment in The Hobbit Trilogy’. Presentation given in the High-Tech Film Forum during the 1st Silk Road International Film Festival in Xi’an, China, 22-23 October 2014. ‘How the Aesthetics of “Dressing Classy/Dancing Cheesy and Producing Universal/Promotion Viral” Stirs the Networked Cosmopolitan World’. Paper presented in New Media and Cultural Transformation: Film, TV, Game and Digital Communication International Conference co-organized by Shanghai University and NUY-Shanghai, Shanghai, China, 8-9 December 2012. 1 Square Mile, Shanghai (in production), a documentary feature about a Shanghai-based recording artist Yin Yi and a British visiting artist Richard, their collaborative and comprehensive sound-recording project about environment friendliness and community diversity around the Shanghai South Train Station. Connected Projects (18 min. HD, 2011), a documentary about one of the most highlighted interactive trans-media activity involved with 7 local contemporary artists and numerous participatory publics in Auckland, NZ, screening at the Transmedia Documentary Challenge evening (24 October, 2011) and being carried by MINA (Mobile Innovation Network Australasia) – a Trans-media Video Group channel on Vimeo (here). The Lake (71 min. DV, 2008), a multi-layer-structured narrative feature film about the environmental preservation issues, selected by the 46th Golden Prague International Television and Film Festival, June 2009. Thirteen (12 min. black & white, 16mm, 2001), a short experimental narrative film shot by one long-take: won Robin Eickman Scholarship Award from Cinema Department at San Francisco State University, 2001; screened at Washington DC Independent Film Festival, March 2002 and San Francisco Film Arts Festival, November 2002. A Recipe for Love (15 min. x 3 episodes, Beta-SP, 1995), a short docudrama series that won the Beijing Excellent Television Program Award and Beijing Literature and Arts Award – the most prestigious arts award in Beijing, China.